This comes as insurers prepare to enroll hundreds of thousands of new patients this fall and get 1.2 million Californians to renew their policies under the Affordable Care Act. Even as California’s enrollment grows, many patients continue to complain about being offered fewer choices of doctors and having no easy way to find the ones that are available. Some consumers have been saddled with huge medical bills after insurers refused to pay for care deemed out of network. These complaints have sparked a state investigation and consumer lawsuits against two big insurers. Mary Edwards, a 63-year-old librarian in Mar Vista, was excited about a Health Net PPO she picked out last fall because it offered a wide selection of doctors at a reasonable price. But it turned out that several physicians listed on her plan didn’t accept the insurance or weren’t taking new patients. More than 80,000 medical providers are participating in Covered California next year, according to a Times analysis of health plan information. The data, current through August, were submitted to state regulators and obtained under the Public Records Act. Altogether, the 10 insurers in Covered California have contracted with an estimated 75% of California’s licensed physicians, or nearly 90% of those considered active in the state. However, many of those doctors are available in just one or two health plans. All of these insurance networks for individual policies are subject to change and regulatory review before taking effect Jan. 1. The next open enrollment under the Affordable Care Act runs Nov. 15 to Feb. 15. Anthem Blue Cross, Blue Shield of California, Health Net and Kaiser Permanente dominated the first year of Obamacare enrollment in California, accounting for 94% of the individual market. 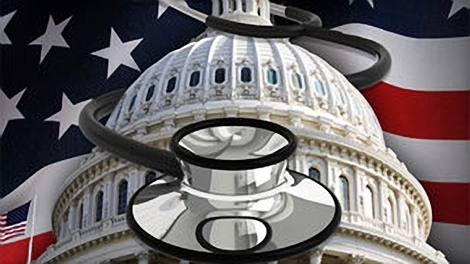 Health Net has proposed the most dramatic change for 2015, the data show. It’s dumping the PPO network that Edwards and others purchased and switching to a plan with 54% fewer doctors and no out-of-network coverage, state data show. Yet premiums for that stripped-down policy are going up as much as 9% compared with pricing for the PPO. State regulators have questioned the company’s moves. Health Net said its cutbacks were necessary to avoid even steeper rate hikes and it’s confident the smaller network will be sufficient. Its separate HMO network is unchanged for 2015 after about 4,000 doctors were added this year. The insurer is following the lead of its two rivals Anthem and Blue Shield, which opened last year with sharply limited networks. For 2015, Blue Shield has proposed two health plans with up to 4% fewer physicians in the areas where they’re sold. Overall, Blue Shield includes about two-thirds of its regular PPO doctors in its broadest exchange network. Anthem, which has added nearly 7,000 doctors since January, intends to maintain the current size of its networks. Sabrina Corlette, a research professor at Georgetown University’s Center on Health Insurance Reforms, said the continued emphasis on narrow networks and a lack of clear information portend another challenging year for consumers. “It’s been a low priority for insurance companies to maintain these provider directories, and states really aren’t pushing back on narrow networks,” Corlette said. Covered California endorses the industry’s narrow network strategy as a way to keep premiums affordable. The state has credited it for helping produce two straight years of lower-than-expected premiums for individual coverage. Rates for 2015 are expected to increase 4.2%, on average. Surveys have shown a majority of health insurance shoppers are willing to forgo greater choice of doctors and hospitals for a cheaper rate. Insurers say they can pass along savings by paying doctors less and rewarding that select group with higher patient volume. It’s also hoped those doctors will take on a bigger role coordinating patient care. Peter Lee, executive director of Covered California, said rates are just part of the equation and the exchange carefully examined these proposed networks to ensure patients aren’t being shortchanged. Lee said the exchange is holding insurers accountable by requesting health plan data on how many enrollees got a doctor’s appointment or a check-up so far. There’s no timetable for a state provider directory after the exchange scrapped an initial version that was riddled with errors. Instead, Covered California refers people to insurance company websites that vary in usefulness. In addition to shedding doctors, California’s biggest insurers have promoted more restrictive policies known as EPO, or exclusive-provider organization, plans. Unlike a more generous PPO, an EPO typically does not provide any coverage for out-of-network providers. Consumers would be responsible for the full charges if they left their network. Many consumers say those differences in coverage weren’t disclosed fully. The California Department of Managed Health Care is investigating whether Anthem and Blue Shield violated state law by misleading consumers and making it too difficult to get timely care. More broadly, the managed healthcare agency and the Department of Insurance are reviewing these networks for 2015. These same individual policies and networks are also sold outside the state exchange. Dozens of individual policyholders are also suing Anthem and Blue Shield, accusing the two companies of misrepresenting their networks and benefits. The two insurers deny the allegations and say consumers were properly notified. Anthem and Blue Shield lead the state in complaints related to provider issues. Anthem customers have filed 176 complaints on network issues from Jan. 1 through August, state data show. Blue Shield was second with 130 complaints and Health Net had 17. Kaiser hasn’t drawn any such complaints, probably because all of its in-house providers are included. In response to complaints, particularly in the Bay Area, Blue Shield is giving customers more flexibility to see doctors outside the 26 counties where it sells EPO policies. That move expands its EPO network to 28,357 physicians statewide in 2015 — though fewer than 4,500 of those doctors are based within the counties where the plans are sold. Blue Shield customer Heidi Shurtleff, 53, complained to the state after hitting roadblocks with her PPO. The Laguna Beach resident said neither her gynecologist nor her gastroenterologist were covered despite assurances from the company when she enrolled. Two new doctors listed on Blue Shield’s website didn’t honor her coverage and a third hasn’t accepted new patients in three years, according to Shurtleff. Chad Terhune covers the business of healthcare and the biggest expansion of health insurance in half a century as part of the federal Affordable Care Act. The Columbia Journalism Review has praised his coverage of the health law for its clarity and in-depth reporting. Prior to joining the Los Angeles Times in early 2012, he was an award-winning reporter for the Wall Street Journal and Businessweek. As a data analyst, Sandra Poindexter crunches the numbers to provide information for daily stories as well as short- and long-term investigative projects. In 2011, she was part of a team that won the Nieman Foundation for Journalism’s Worth Bingham Prize for Investigative Reporting for the series “Billions to Spend,” which documented mismanagement in a multi-billion dollar program to rebuild Los Angeles’ community colleges. As database editor of the Los Angeles Times, Doug Smith hunts down and analyzes data for news and investigative projects. Besides “Grading the Teachers,” he has contributed to investigations of construction abuse in the community college system and the rising toll of prescription drug overdoses. Smith has been at The Times since 1970, covering local and state government, criminal justice, politics and education.